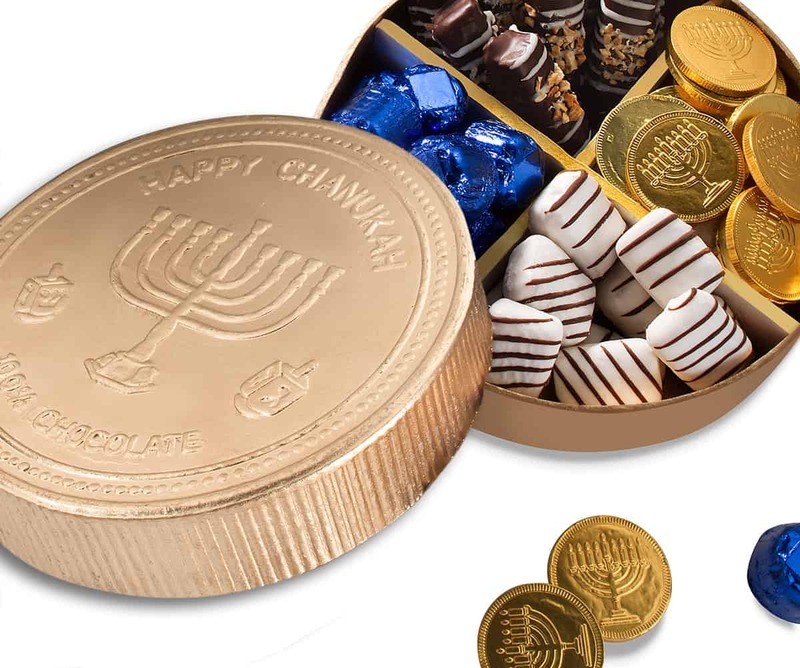 Who doesn’t love a little “gelt”? 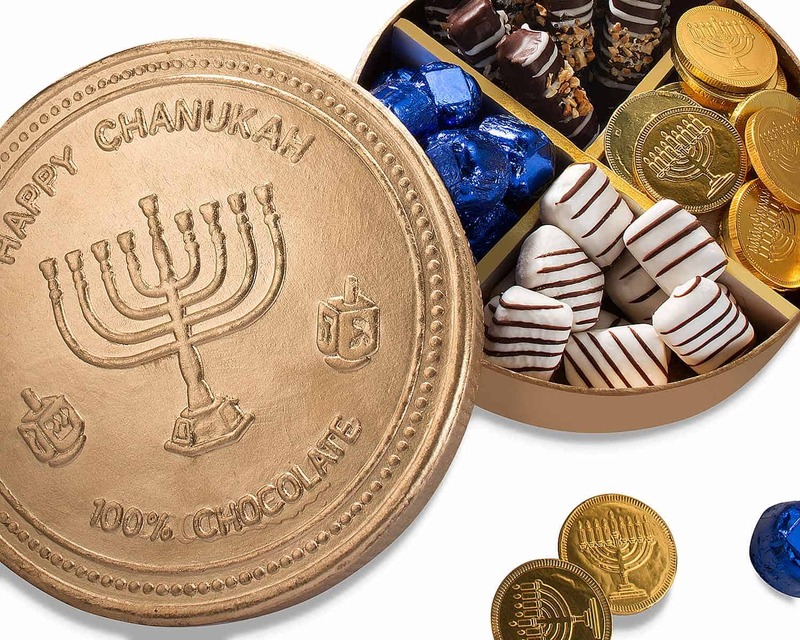 Especially chocolate Chanukah gelt. Our fabulous hand painted box is made to look just like one! Filled with milk chocolate coins, blue foiled chcolate truffles, mocaccino bars and nutty clusters – this winner is a new twist on an old tradition. Items individually bagged for freshness. wrapped truffles, moccacinos and nutty clusters are under the CRC and repacked in our facility.